Naomi has worked with UK and Sri Lankan media as a reporter/sub editor, including BBC World Service, where she doubled as a presenter and translator. 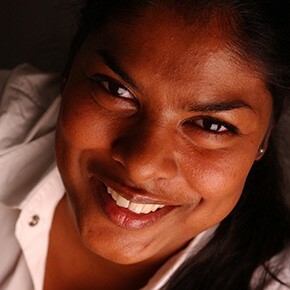 Naomi obtained a BA (Hons) degree in Mass Communication, Sociology and English in Sri Lanka and holds a MA in International Journalism from City University London (Sky News Trish Ennis Fellow). She is on the Roll of Attorneys-at-Law of the Supreme Court of Sri Lanka, and is an Attorney-at-Law with a London-based Immigration Law practice. As a Skillset Millennium Awards Fellow (2003-04), Naomi produced the documentary, “A Cure for Vitiligo”, which is showcased at the Victoria & Albert Museum in London. Naomi audited classes on South Asian Politics; “It was important to gain an academic insight into the conflicts/political tensions that I dealt with on a daily basis as a reporter.” “Custodian of Death: Sri Lanka Police” was written during her stay in Canada. Naomi helped produce a brochure for McGill’s Department of Architecture on their “Making the Edible Landscape Project”, and wrote an article for the Sri Lankan Sunday Times about the attempts to regenerate a Colombo slum through urban agriculture. She also attended a lecture by fellow Sri Lankan, Dr Radhika Coomaraswamy, and interviewed her for The Sunday Times.